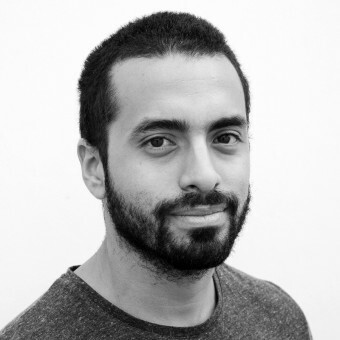 Editor Frank Scott (FS) from DesignPRWire has interviewed designer Diego León Vivar (DLV) for A’ Design Award and Competition. You can access the full profile of Diego León Vivar by clicking here. DLV: I have had two sides in my family, on the one hand my father´s family was composed by a notary, two engineers and a doctor; and in the other side my mother´s one was integrated by a teacher, a graphic designer and painter, a seer and a businessman. I´m the mixture of both sides so I’ve always been interested in both fields sciences and arts. When I was younger I never saw any art field as a professional career, not even industrial design because I didn’t know it exist. So my life plan was to become and engineer and create machines and new items for them. This plan ended while I was studying mechanical and electrical engineer. In a conversation that I had with a friend that was planning to study industrial design in Holland I discovered it was the career that I always wanted. In that time my notebooks where full of technical drawings about videogame fire guns and furniture. I didn´t think it twice and changed it. DLV: @diegoleonvivar studio is based in Lima-Peru and I’ve been working on there for the last 3 years. Nowadays I’m focused on cultura heritage of my country because I see a lot potential in the translation of these into contemporary products and services. That’s why my studio is now focused on providing consulting service around craftsmanship work of artisans of Peru for both private companies and the Peruvian government through the Ministry of Foreign Trade and Tourism. Recent works have been develop homeware products for CASACOR Peru in collaboration with the designers Ricardo Geldres (Peru), Marcelo Rosenbaum (Brasil) and 180 artisans from three regions of Peru, a project funded by government; and for DEPA design store that is a studio where his design team develop decoration products with handmade approach. DLV: Design is a language that articulates the function and aesthetics of a product that directly affect users, producers and the environment. Good design is the correct articulation between functionality and beauty that aims to generate values that improve the quality of life of users and producers as well as the preservation of the environment. DLV: The projects that motivate me are those that require a greater understanding of the context and users because I push myself to study the environment and lives of people who are often very different from me. Such activities taught me a lot and finally generate great value to the final product. DLV: In my opinion, chairs are the most challenging design products for designers and my favorite one is the Eames chaise lounge. Since I started the industrial design career I've always liked working with bentwood furniture. It has gave me the feeling of warmth and humanity. For me, that chair represent balance between function and form. Even though each party fulfills its mission, the chair has a risky proposition that also seeks for generate sensations. DLV: The first thing that I designed for a company was a longboard's display for Chaman Store. The pieze of furniture exhibit a fully assembled longboard on the top and 10 piled and disassembled decks. It was also modular and it was replicated throughout the store. DLV: I don't have a preferred material, in any case this would be one that emerges as the best option from the exploration of a manufacturing process. And talking about platforms and technologies, I am very interested in processes where there is a meeting between technology, craftsmanship and nature. DLV: My creative power generally arise during conversations with friends about projects we are developing separately after many hours of hard work. During these conversations I usually create connections between concepts that I have been driving on and off the project which give me answers to design problems that need to be solved. DLV: The parts of the process that involve different people are the ones that interest me because they are the times when the project has the possibility of providing welfare to those who are involved before even the project or design is defined. DLV: Speaking not only about designers but people in general. Everyone, from our daily activities, have the responsibility to create values that generate wellbeing for people and environment. I think that first we must be heedful in how to push people with whom we share daily activities to be each day a better person and professional. DLV: The design field is changing very fast because of the access that people have to information and technology. In future designers as professionals will be key elements to helping people to think in different ways so that they themselves can solve their own problems. DLV: As I matured, I began to see more into my country and a little less out because I have discovered the value of our heritage culture, so much so that now I specialize in the field of traditional crafts. The cultural wealth is invaluable. As an emerging country, there are many developing fields, which gives us the possibility of intervening in a range of projects. The problem with this is that many times as we watch and follow developed countries that have already found solutions to the same problems that we have, we may feel disillusioned by not having the same technical possibilities to solve them in the same way. Finally this is not all bad because that is our chance to differentiate ourselves from the rest. That is the moment when we must look inward. DLV: 1. DSLR Canon 70d camera. I love making video and this is a really good semi-professional camera for that. I like a lot the proportions and weight as well. 2. Tin candlestick. It always remembers me about the incredible craftsmanship that is developed in Ayacucho, a region located in the mountains of Peru. 3. Chair designed by me. Because it was the first product that I designed and prototyped. 4. Bar for exercise in the middle of my living room. It gives me the opportunity to exercise on at any time. 5. Moleskine sketchbook. DLV: My day starts at 6:30 o'clock, when I get up to go to the gym or surfing, I have the joy of living close to the sea. Then I go to my studio which also is close to my house and that's where I spend most of the day unless I am in a research stage on a project and I have to go out. In the evenings I usually advance a personal project or go out for a coffee with friends or with my girlfriend. DLV: There is one an only thing that is always in my mind and that is constancy. DLV: Hard work and constancy. DLV: The most important skill for a designer is to think from different perspectives, then the ability of communicate. DLV: I use to make gantt boxes. DLV: Last year I was invited by Ricardo Geldres (Peruvian designer) to participate in a collaborative project with Marcelo Rosenbaum (Brazilian designer) . The project was funded by the government and presented at the design fair Casacor Peru. The importance of the project was that Marcelo would use 90 objects designed by us and produced by hand by 180 artisans from the coast, mountains and jungle of Peru, to decorate the space. The experience of learning through relationships between the whole team was invaluable, plus that I realized that this is the field to which I want to dedicate my work, traditional crafts. DLV: I will continue to provide design consultancies both private companies, NGOs and government in the area of craft in my country for a long time. At the same time I'm working on a brand of handicraft products that I will present at an international exhibition in two years. DLV: Until a year ago I used to work alone but recent projects in which I have participated, I have looked for ways to build teams. I work much better with more people. Press Members: Register and login to request a custom interview with Diego León Vivar.